i’ve been busy for the last couple of weeks with teaching a craft camp at our local elementary school. i had so much fun teaching crafts to first graders to fifth graders. 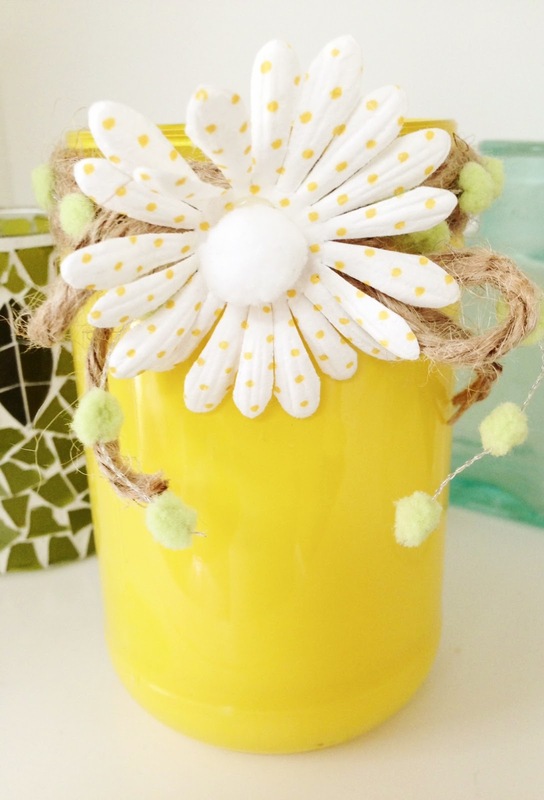 of course i found this project off pinterest and we added our own touches to the design. i love how the girls would make such awesome decisions on colors and decor, so fresh and cute! 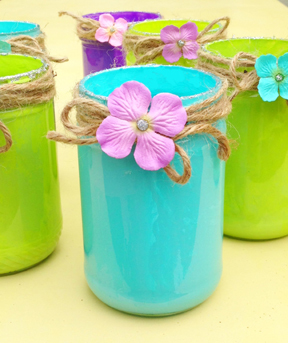 these jars almost have a island flair to them. as predicted, we had a few drops of paint on us when the project was all done. 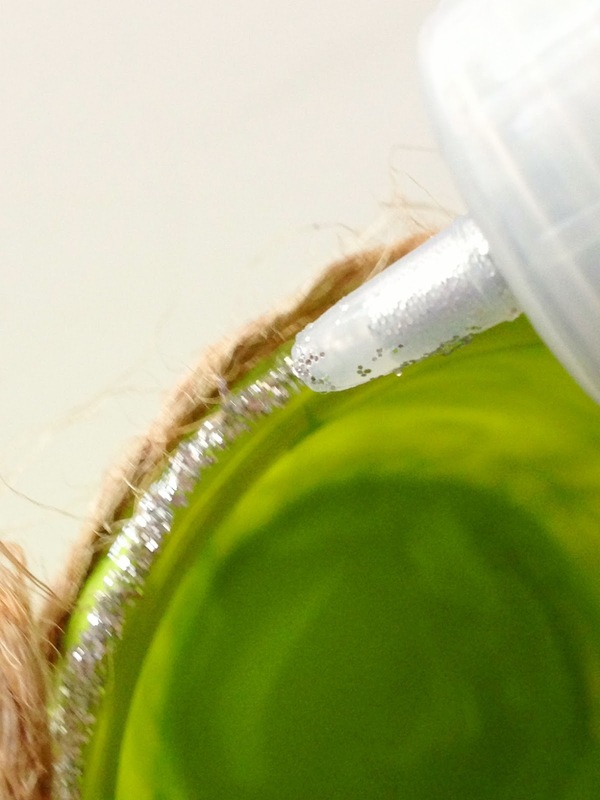 well… this wasn’t as bad another project that involved glitter being poured on top of one of the girl’s head. she sparkled for the rest of the day! i was suppose to bake it after it dried, but it appeared to be pretty solid so i didn’t. i think i’ll try the project again and follow the instructions. 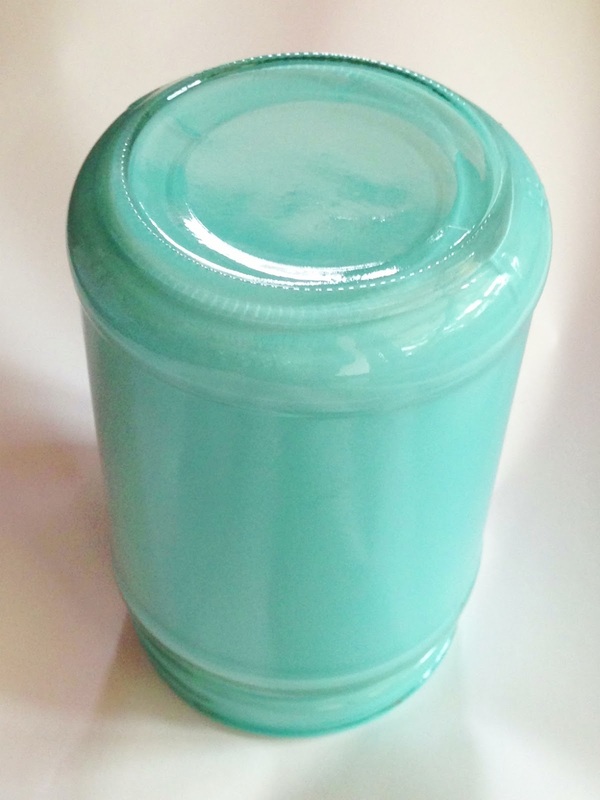 :o) one medium mason jar required one jar of these paints. 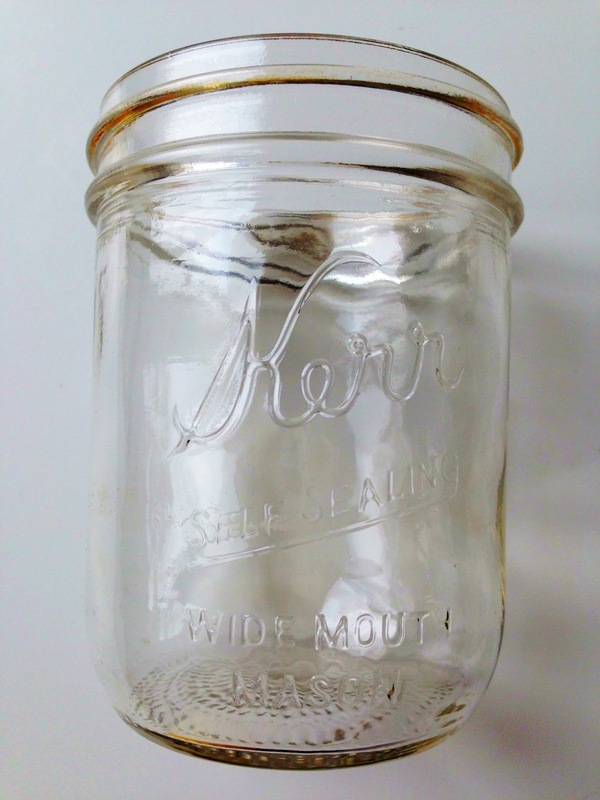 i used mason jars and any other jars that i had around. 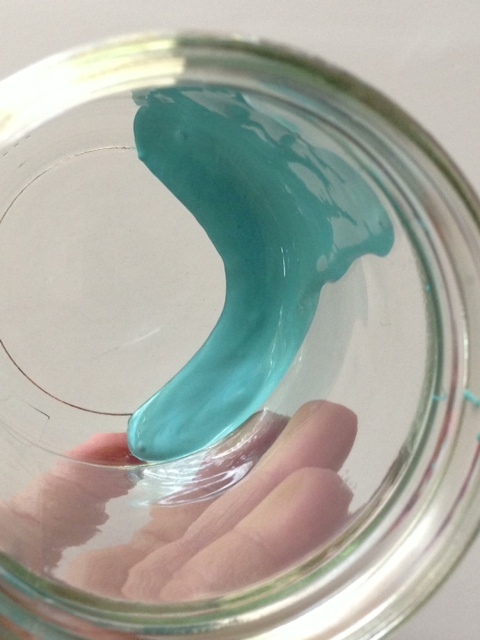 i just swirled the paint and didn’t use a brush. i tried using a foam brush and it left marks. i did end up using my finger for inside the rim. 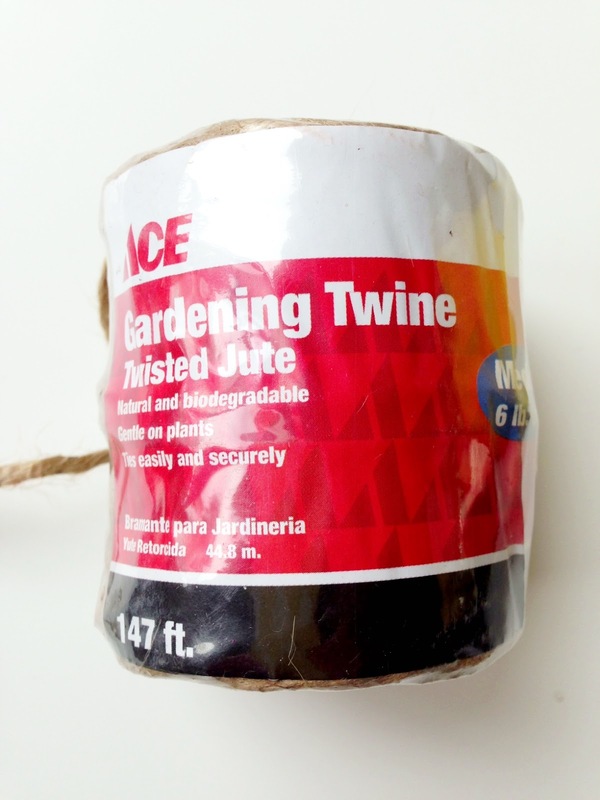 i just bought some landscaping twine…nothing fancy! 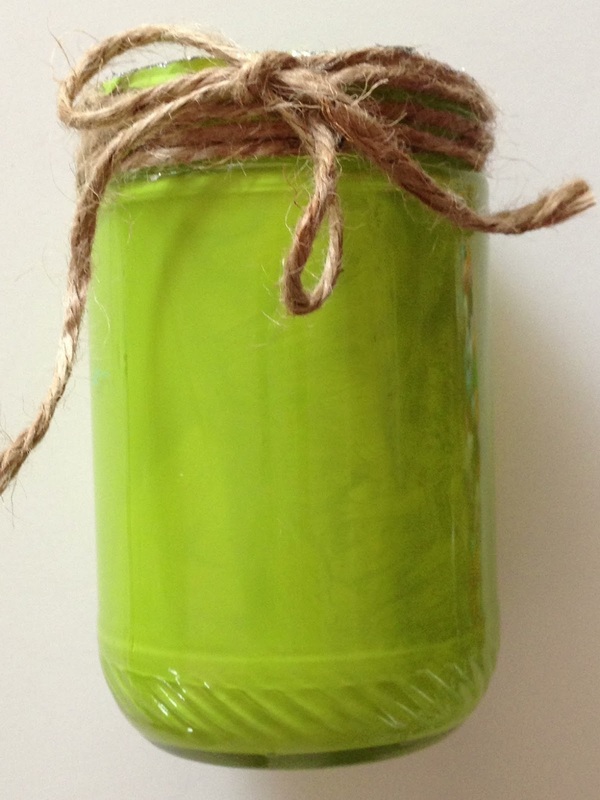 once the paint is dry… i just wrapped the twine around the rim of the jar and secured it down with hot glue. if you don’t have a hot glue gun, i’m sure elmer’s glue would work fine. 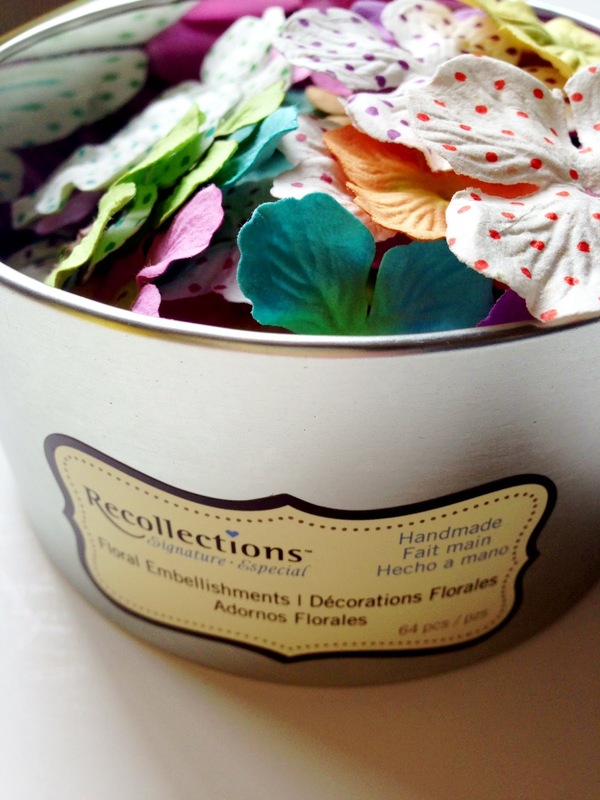 i bought this canister of paper flowers at Michael’s Crafts but, i found them on amazon: paper flowers. it is a totally fun variety of flowers. i just hot glued the flower onto of the twine bow. 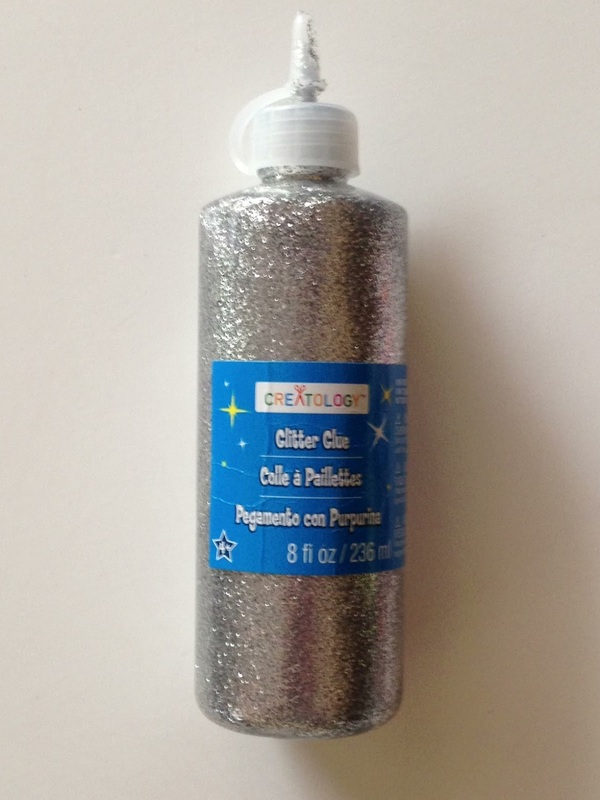 i bought this glitter glue at Michael’s too! love the stuff. 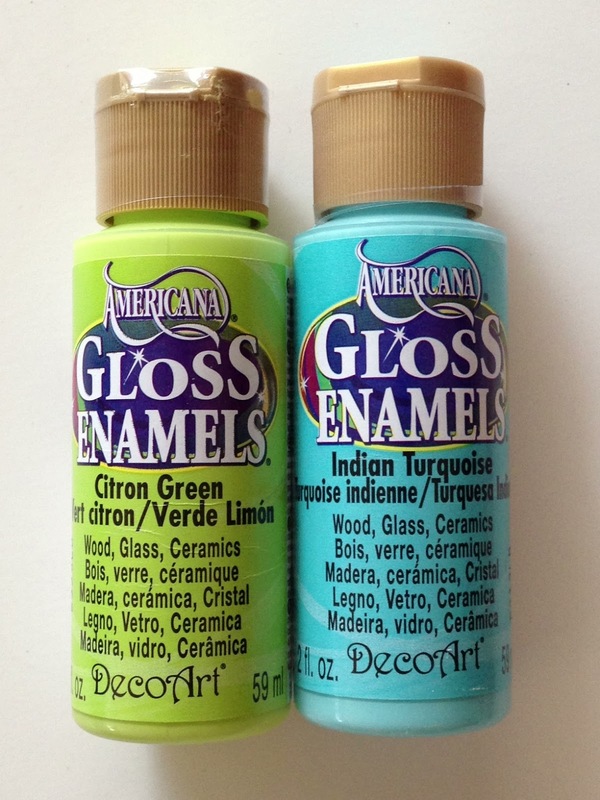 place a bead of glitter glue on the top for the rim. i originally wanted to cover up the messy top and then liked the little bit of sparkle it created! i also put a dot of the glitter glue on the middle of the flower.